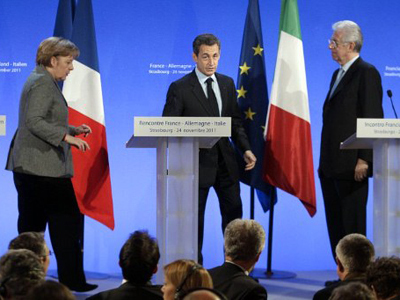 Efforts by European leaders to shoe-horn a range of diverse countries into a rigid financial cage are doomed to fail. But that’s all part of a long-term plan for a global super-currency which can only bring more hardship to ordinary working people. This ancient story of “one size fits all” seems to have made its 21st Century comeback when Europeans were coaxed into imposing upon themselves an oxymoron; a blatant and conceptual contradiction they call “the euro”. This common supranational currency invented by the French and Germans, boycotted by the UK, ignored by the Swiss, managed by the Germans and accepted by the rest of Europe in blissful ignorance, has finally dropped its mask to reveal its ugly face: an impossible mechanism that only serves the elite bankers but not the working people. It masked gross contradictions as large, far-reaching and varied as the relative sizes, strengths, profiles, styles, histories, econometrics, labor policies, pension plans, industries, and human and natural resources of the 17 eurozone nations, ranging from Germany and France at one end of the scale, to Greece, Portugal and Ireland at the other. 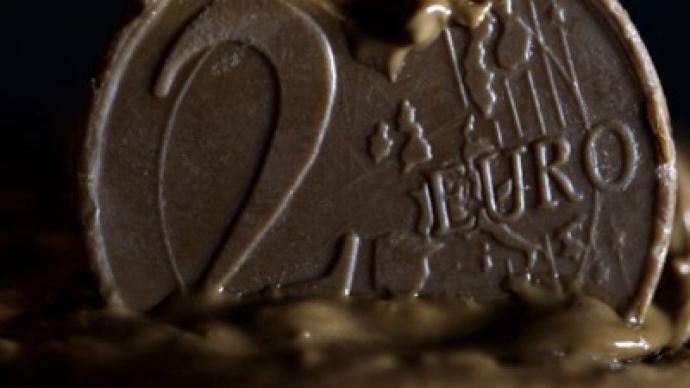 As we said in a recent article, the euro carries an expiry date; perhaps the eurocrats who were its midwives a decade ago expected that it would live a little longer, maybe even come of age… But they certainly knew that, sooner or later, the euro would die; that it was meant to die. Because the euro is not an end in itself, but rather a transition, a bridge, an experiment in supranational currency earmarked for replacement by a far more ambitious and powerful global currency issued by a global central bank, controlled by a cabal of global private bankers, obeying a New World Order blueprint emanating from a private Global Power Elite. 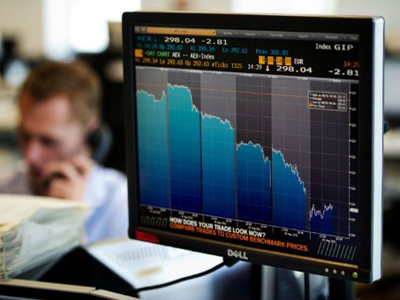 The problem today is that what impacted Europe as a financial ripple effect in 2008 has now grown into a veritable financial tsunami threatening to swamp the whole euro system… And more big trouble lies ahead! 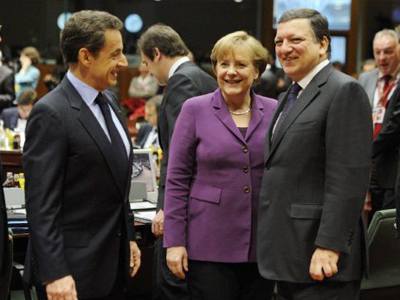 In fact, today’s euro-troubles are nothing more than one of many variations of sovereignty-troubles. Because when a country’s leaders irresponsibly cede a part or all of its sovereignty – whether monetary, political, financial, economic, judicial or military – it had better take a really good look at what it is doing and what the implications are for the medium and long term. Ceding national sovereignty means that somebody else, somewhere else, will be taking decisions based on other people’s interests. Now, as long as everyone’s interests coincide, then we are OK. But as soon as the different parties’ interests diverge, then you are confronted with a power struggle. And power struggles have one simple thing in common: the more powerful win; the weaker lose. 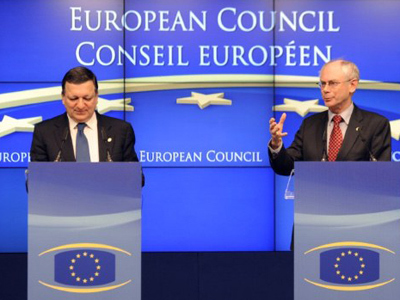 Now, we have a huge power struggle inside the eurozone. Who do you think will win? 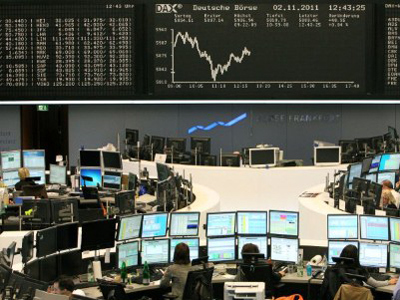 Who will impose new policies – Germany or Greece? France or Portugal? Britain or Spain? Germany or Italy? And that is just on the public scene. You also need to look at the more subtle, less media-highlighted private scene, which is where the real global power decisions are made. Will the new Italian PM, Mario Monti, cater for the needs of the Italian people or for the mega-bankers’ lodge sitting on the powerful Trilateral Commission of which he himself is European chairman? The same question goes for Greek president Lucas Papademos, also a Trilateral member. The same question goes for all the governments of the EU member states where the real power brokers are the major bankers, industrialists and media moguls sitting on the Trilateral, Bilderberg, World Economic Forum and Chatham House think-tanks and private lobbies. Global elites will do everything to keep the euro on its transitional path towards a global currency that will eventually replace both the euro and the US dollar. This entails engineering the controlled collapse of both currencies, whilst preparing the yellow brick road for a “Global Dollar” or some such new oxymoron. So, here’s a question for Greeks, Italians, Spaniards, Portuguese, Irish, even the French and Germans: will you accept the invitation by your Procrustean Leaders in Brussels to lie down on their bed? ­The statements, views and opinions expressed in this article are solely those of the author and do not necessarily represent those of RT. 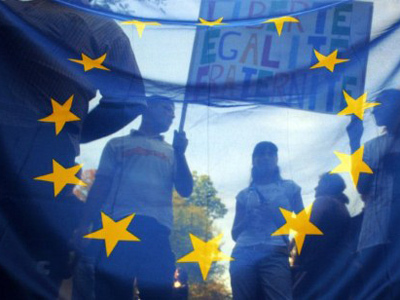 Does the European Union have an Expiry Date?